There are two things that make a great combo. Those two things are pasta and wine. 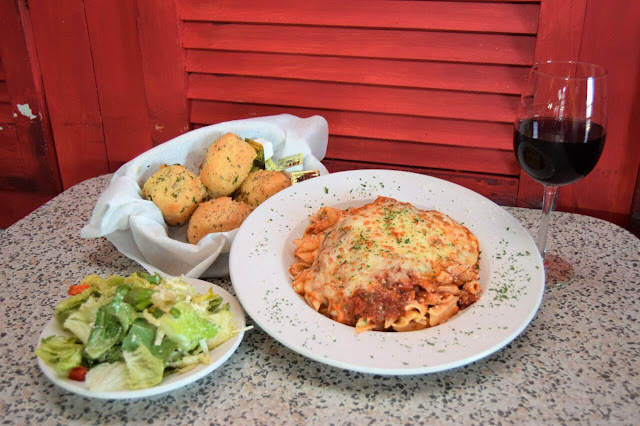 There’s nothing quite like enjoying a delicious and hearty warm plate of pasta that pairs well with a glass of wine. While we might be a little biased towards this situation, we think most people would agree. Li’l Rizzo’s knows that when selecting the perfect wine for your pasta, you need to look at the pasta sauce. Check out a few of our favorite wine and pasta pairings that you can find at the best Italian restaurant at the Lake of the Ozarks. Tomato-based pasta dishes, such as our spaghetti or linguini marinara, are best with medium-bodied red wines like a Zinfandel, which can be enjoyed at our Lake Ozark location, or even a Merlot. These sauces are powerful, are highly acidic and are often blended with rich, red meats, so middleweight body is the best option, as it won't overpower the dish. Ready or not, Memorial Day Weekend is just days away. For most people, it seems as if this holiday weekend snuck up. With the long weekend, many people will be heading to the Lake of the Ozarks to spend time with friends and family. If you're visiting the area this weekend, we hope you stop by Li'l Rizzo's for some of the best Italian food at the Lake of the Ozarks. Here are just a few of the reasons why you should plan to visit Li'l Rizzo's this Memorial Day Weekend. Yes, we said it! Friday, May 18th is National Pizza Party Day! We are just as excited as you are. At Li'l Rizzo's, we LOVE helping you celebrate any occasion with a delicious pizza. After all, pizza is great for ANY occasion. If you're not sure how to celebrate National Pizza Party Day, the best Italian restaurant at the Lake of the Ozarks has 5 reasons why you should throw a pizza party this Friday. Got a Birthday? You Need Pizza! Having pizza for a birthday party is almost as necessary as the cake, especially when it's the best pizza at the Lake of the Ozarks! The birthday boy or girl will love a specialty pizza from Li'l Rizzo's for their special day. Whether you're enjoying the day at home or you come in to visit us, there is no better way to celebrate a birthday than with pizza from Li’l Rizzo’s. Got a Graduate? You Need Pizza! Mamma Mia! Mother’s Day is just days away. In Italy, la mamma is the foundation of the home and is celebrated by her family all year round. However, on the second Sunday of May, mothers are showered with flowers, gifts, and poems for La Festa della Mamma. Whether your mother is Italian or just LOVES Italian food, Li'l Rizzo's has a few Mother's Day traditions so you can join in on the fun. If you don’t have plans yet, bring your mom into the best Italian restaurant at the Lake of the Ozarks for a delicious meal! No cooking or dishes, what could be better? More people purchase fresh plants and flowers for Mother’s Day than for any other holiday – except Christmas/Hanukkah. The National Retail Federation (NRF) estimates that in 2018 US consumers will spend $23.1 billion celebrating Mother’s Day. Shoppers will spend an average of $180 on Mom. Approximately 65% of all greeting card sales occur within the last five days leading up to Mother’s Day. If you’ve been searching for the best pasta around the Lake, then search no more! As the best Italian restaurant at the Lake of the Ozarks, we know how to serve up a delicious plate of perfect pasta! Our recipes have been refined over the last 30 years, and our menu has expanded from pasta to pizza, wings, appetizers, a world-famous salad, and delicious sandwiches. 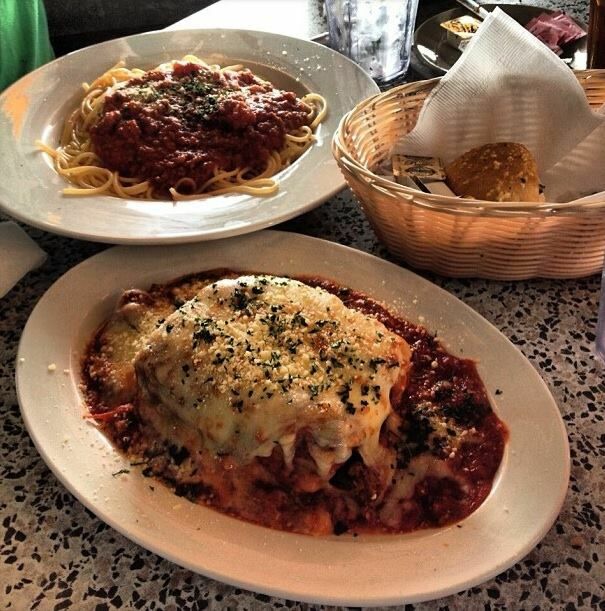 From our spaghetti to our lasagna, you'll find fresh homemade ingredients that will make your mouth water. Here is a peek at our pasta menu at Li'l Rizzo's!